PaperPlane tries to bring back the Windows 8 Start Screen functionality but with more class, customizability, and eye candy. PaperPlane is a free application that acts as a smart launcher for your Windows system and lets you access all your frequently used apps, folders, website URLs, etc., directly from your desktop using an iPad-like launcher. If you are looking for a smart launcher that mimics the iPad launcher and Mac OS X Launchpad-like functionality, then PaperPlane might be for you. Here are some its best features. Lets you access all your frequently used apps, files, and games directly from your desktop. Lets you organize all the apps, shortcuts, games into folders of groups. 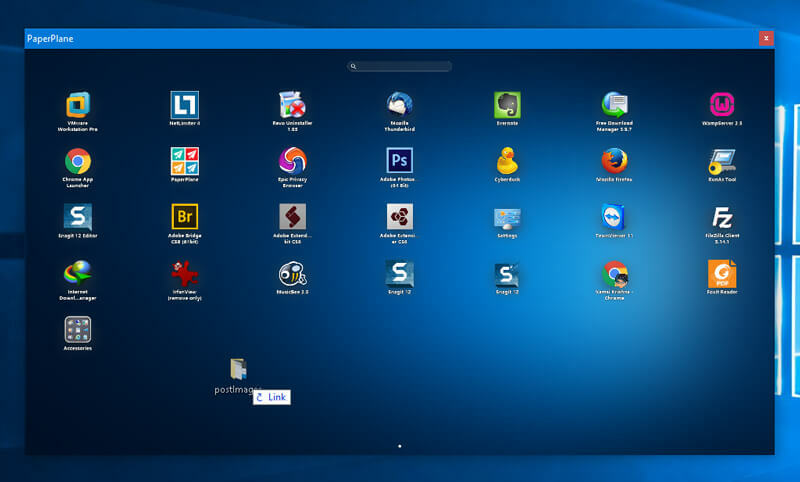 Lets you organize all your apps and groups into multiple desktops. A useful search bar to quickly find your files, folders, and apps in the launcher. 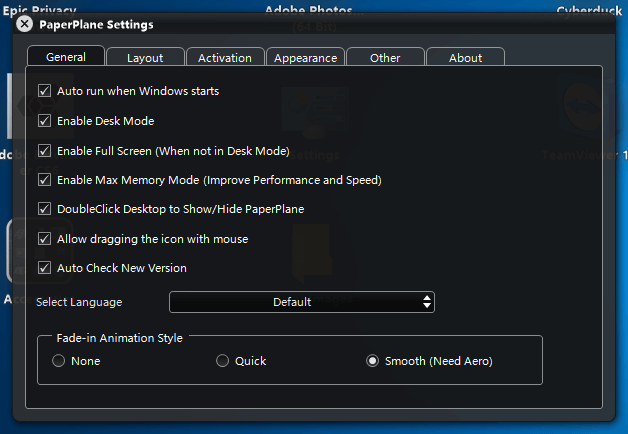 Multiple activation methods: double-click on desktop, keyboard hotkey, mouse hotkey, and hot window corner. A great tool for Windows systems with touch screen functionality. 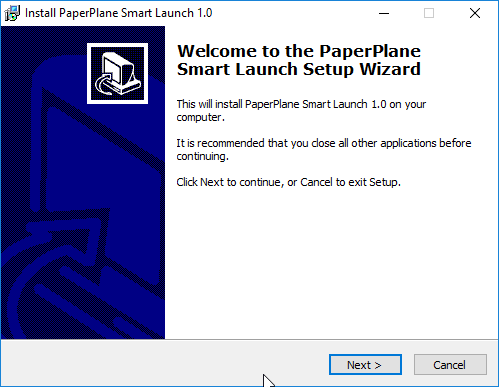 Installing and using PaperPlane is simple and straightforward. To start, head over to the official website and download the application. Once downloaded, install it like any other Windows software. 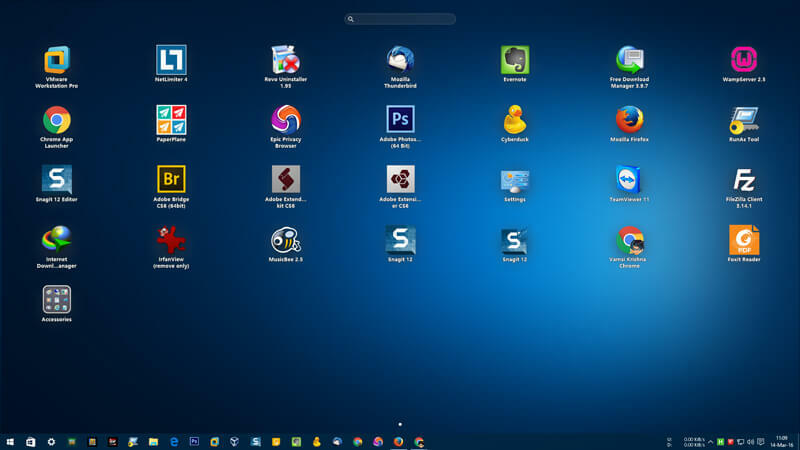 After installing the software, launch it using the desktop shortcut or by searching for it in the Start menu. As you can see from the below image, the app will automatically populate the launcher with your frequently used programs. The above action will open the launcher in Window Mode which enables you to drag and drop any app, folder, or shortcut into the launcher. For instance, I want to add one of my frequently-used folders to the launcher, so I simply drag the folder into the launcher. As soon as you drag and drop the item, it will be added to the launcher. To remove an item, simply right-click on the item and then select the “Delete” option. One of the best things about PaperPlane is its search bar which can be used to quickly search for any item on the launcher. This feature resembles the LaunchPad on Mac OS X, and it is fast and accurate. Moreover, the application also lets you group items into a folder. To do that, all you have to do is drag and drop one item onto another, and it will automatically create a Group. You can name the Group anything you want. If you want to organize all your apps, games, and folders in separate desktops, then you can do that, too. All you have to do is drag an item to the left edge of the screen, and PaperPlane will automatically create a new page. PaperPlane is a good application that makes it easy to access all your applications and other shortcuts by putting them front and center. As more and more Windows computers are touch-enabled, an app like this makes perfect sense on these devices. That being said, do give the app a try and see if it fits your needs. After all, it is free, lightweight and has a ton of customization options. Do comment below sharing your thoughts and experiences about using PaperPlane. Wow… So we have come full circle: we’re back to Windows 3.1 and icon groups on the desktop! Don’t load this software because uninstalling does not remove all components. It keeps popping up even after uninstalling it.